With over 350 acres and 118 campus buildings and facilities, students of the University of Central Arkansas have plenty of room to pursue more than 130 undergraduate, Master's and doctoral degrees. Ninety-three percent of incoming freshmen receive some type of grant or scholarship aid. UCA has special scholarships available for students involved in activities such as dance, ROTC, forensics, theater and music. Additionally, full-time beginning undergraduate students can apply for the following merit-based awards: Leadership ($1,500), University ($3,000), Achievement ($5,000), Excellence ($6,500) and Distinguished ($8,500). There is also an annual Out-of-state Distinguished award for $12,000. There are several Foundation awards given for leadership, financial need and special majors. Harding University is a private, Christian, liberal arts school in Arkansas that maintains international campuses in four European cities, plus Zambia, Australia, and Chile. About 40 percent of students spend a semester at one of those campuses during their college career. Some 95 percent of the college's 5,900 undergraduate students receive financial aid, and Harding awards about $95 million in aid each year in federal, state, and private assistance. Depending upon their financial needs, students may be eligible for grants, loans, or an on-campus job. If the "free money" receiveid is not enough to meet a student's financial needs, Harding has two Harding Grant programs that help fill that need, in amounts up to $6,000 per student. Established in 1871 as the first public university in Arkansas, with only 100 students in attendance during its first year, the University of Arkansas now has an undergraduate population of almost 22,000, with nearly 4,600 degree-seeking freshmen. The university provides more than $85 million in scholarships and financial assistance to its students every year. Almost all freshmen with need (96 percent) receive some type of financial assistance. The university has scholarships designed to meet the financial needs of students from under-represented communities as well as first-generation college students. These include the Silas Hunt Scholarship ($5,000 or $8,000 per year), the Razorback Bridge Scholarship (up to $3,500 per year) and the University Enrichment Scholarship (one-time award of up to $2,000). Lyon College is a small, liberal arts college whose core curriculum requires all students to complete two service projects, one in their freshman year and one in their senior year. Practically every student who enters Lyon receives some sort of financial aid. The college administers millions of dollars in scholarships from its endowment and from the federal and state government. The Lyon Fellows program provides stipends up to full tuition for highly motivated students. Performance scholarships cover the usual - music, theater, visual art - as well as Scottish heritage, given to students with skills in piping, Highland dance, and similar cultural arts. Students who are members of any Presbyterian church are eligible for a $1,000 annual grant. An affordable college education in Arkansas often starts with a state school or a community college. Fortunately, there are lots of these schools to choose from, and some of them have excellent reviews and reputations. State financial aid is fairly respectable (a few of the scholarships are fabulous) and there are loan repayment programs available to teachers and medical professionals. Wherever you live in the state, we also have some advice on how to save money on everything other than tuition. Arkansas makes it simple for students to transfer college credit between postsecondary education institutions within the state. The Arkansas Course Transfer System (ACTS) clearly defines comparable course information in a system that is easy to use for students and institutions alike. For students in particular, ACTS makes it easy to understand how credits will transfer to a new school. The database offers faculty generated comparable course information that defines which courses will count for specific credits with public institutions in Arkansas. A uniform course numbering system is under development. In addition to clearly defining comparable, transferable courses, ACTS provides guaranteed transfer of courses between Arkansas public institutions. This means students can rest assured that approved courses will be accepted for full credit at any Arkansas public institution. Students transferring with an associate’s degree are guaranteed transfer of 60 credit hour curriculum and junior status at a four year university. Within the ACTS database, faculty generated comparable course information is available for review, allowing students to choose and map out courses that are guaranteed to transfer. If you know the college you’d like to transfer to, use the student transfer tool to view course equivalencies. This tool is also useful if you’d like to explore multiple colleges and universities to see where your transfer credit will be accepted. To make college cheaper for loyal Arkies, the state of Arkansas funds a variety of state financial aid programs. 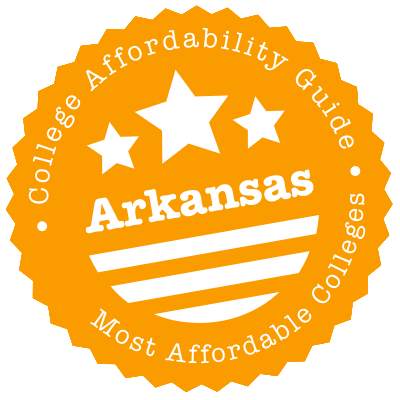 You can explore these programs on the College for You website, run by the Arkansas Department of Higher Education (ADHE). Along with a list of Arkansas state grants & scholarships, the website offers guidance on the FAFSA and free scholarship resources. Want to talk to a real person? Call the ADHE’s financial aid division at 800-54STUDY. To actually apply for state financial aid, you’ll need to go through YOUniversal, the state of Arkansas’s scholarship management program. Luckily, you’ll only have to fill out one application form—once you’ve completed it, the state will figure out whether you’re eligible for any of the 20+ state government-funded scholarships (e.g. Go! Grants, STEP, etc.). Other useful websites to bookmark include Fund My Future and the Arkansas Single Parent Scholarship Fund (ASPSF). Run by the Arkansas Student Loan Authority (ASLA), Fund My Future has a bundle of resources, including a walk through the financial aid process, scholarship tips & resources, career planning tools, college planning checklists, guidelines for non-traditional students and affordable advice up the wazoo. ASPSF also has excellent advice on college planning, with links to scholarship websites and descriptions of low-income TRIO programs. Summary: The ARHEG supports students who want to attend graduate/professional programs for chiropractic medicine, dentistry, optometry, osteopathic medicine, podiatric medicine and veterinary medicine at out-of-state institutions. Basically, the Arkansas Higher Education Coordinating Board (AHECB) negotiates for a certain amount of Arkansas students to attend these schools at reduced or in-state tuition rates. See the program website for full details and a list of participating institutions. Eligibility: You must complete an application and affidavit in order to be “certified” as an Arkansas resident and you must be accepted by a school that is under contract with the state. Arkansas student slots are limited by available funds, so apply to your school as early as possible! How to Apply: You can request an application packet and certification instructions from the ARHEG Coordinator at the ADHE (listed on the program website). Students will receive a letter from ADHE confirming their certification status; at the same time, an updated list of certified students is sent to the institutions participating in the ARHEG program. Summary: GO! grants are small-time funds intended to help low-income students complete their college degree. Annual award amounts are only $1,000 for full-time students and $500 for part-time students. Eligibility: Awards are based on your family’s income—see the website for limits. You must also be U.S. citizen (or permanent resident) and an Arkansas resident enrolled in a program of study that leads to/is creditable towards a baccalaureate degree (e.g. baccalaureate programs, associate programs, qualified certificate programs or nursing school diplomas). To continue receiving the grant, you’ll have to maintain a 2.0 cumulative GPA. How to Apply: Since the ADHE decides whether you qualify for a GO! Opportunities Grant by analyzing your FAFSA, you’ll need to file that as soon as possible. You should also complete the YOUniversal application form. Eligibility: You must meet the general eligibility requirements for federal financial aid and have unmet needs after the Pell Grant has been awarded. Summary: Academic Challenge Scholarships (ACSs) are awarded to Arkansas students who achieve a 2.5 college GPA or a composite score of 19 on ACT or a 2.5 high school GPA. Funds are available for recent high school graduates, current college students or students returning after a period away from college. Most of ACS funds come from the Arkansas Scholarship Lottery. Eligibility: At baseline, you need to be a U.S. citizen (or permanent resident) and an Arkansas resident enrolled in an approved program at an eligible school. However, requirements are slightly different for each of the three student categories: Traditional (Incoming Freshman), Current Achievers and Nontraditional Students. Please see the program website for full details. How to Apply: You can apply for this program online by completing the YOUniversal application form. Summary: Arkansas SPSFs help low-income single parents pay for college or technical programs that will give them better-paying careers. Affiliate organizations and local volunteers administer the scholarship funds in each county of Arkansas. Eligibility: Since eligibility varies from county to county, you should check your home county page for exact details. County representatives can also answer any questions you might have. How to Apply: You can apply on www.aspsf.org. You’ll need to: 1. Find your home county. 2. Read all application instructions on the county page. 3. Complete your application, with all the required forms. 4. Submit by the application deadline. Summary: Governor’s Distinguished Scholarships (GDSs) are great deals—up to $10,000 per year for tuition, mandatory fees and room & board. Scholarships are given to smart Arkies who achieve either a 32 composite score on a single ACT test or a 1410 combined math and critical reasoning score on a single SAT and either a 3.5 GPA or selection as a National Achievement finalist or National Merit Finalist. See the program website for more details on renewal instructions and funding restrictions. Eligibility: To receive the scholarship money, you must enroll full-time as an undergraduate student at an eligible public or private college or university in Arkansas immediately following high school graduation. You must be a U.S. citizen (or permanent resident) and either you or one parent must be an Arkansas resident. How to Apply: Since GDSs are awarded solely on academic merit, you won’t need your FAFSA. Instead, you can apply for this program online by completing the YOUniversal application form. Summary: This scholarship is designed to help Arkansas LEO dependents cover the cost of tuition, fees and dormitory room charges in campus-owned facilities. (The scholarship doesn’t pay for expenses such as books, food, school supplies and fees for extracurricular activities.) Funding is available for up to 8 semesters in any state-supported college, university or technical institute. Eligibility: Please see the ADHE website for a list of qualifying LEO professions. In addition, you must an Arkansas resident and U.S. citizen (or permanent resident) who is less than 23 on or before the first day of class. To continue to be eligible for the scholarship, you’ll need to maintain a minimum GPA of 2.0. Summary: This scholarship rewards students who have gone back to school to complete the Arkansas High School Diploma (GED) Program. The AHDE gives out 10 scholarships per year valued at $1,000 or the cost of tuition (whichever is less) to scholars who achieved the 10 highest scores on the Arkansas High School Diploma test during the previous calendar year. The scholarship is renewable for up to three additional years or the completion of the baccalaureate degree, provided the recipient maintains a minimum GPA of 2.50 each academic year. Eligibility: You have to be at least 18 years of age or a former member of a high school class which has graduated and not have graduated from high school. How to Apply: You don’t need to apply for this scholarship. If you’ve received one of the ten highest scores, you’ll be contacted directly by the ADHE. Summary: This program awards scholarships of up to $6,000 to Arkansas students accepted to The Washington Center (TWC) internship program in our nation’s capital. TWC selects students who are eligible to participate, then the ADHE decides how many students can be awarded a scholarship based on funds available. Eligibility: You must be an Arkansas resident enrolled in a program leading towards a baccalaureate degree at an eligible Arkansas institution that grants academic credit for participation in the TWC Internship Program. You must also be a second semester sophomore (or above) maintaining a GPA of at least 2.75. How to Apply: You can apply for an internship on the TWC website. TWC also provides general guidelines on finding funding and state scholarships. Scholarship funds are allocated on a first-come, first-serve basis, so apply for your internship early! Summary: This program supplies forgivable loans to students studying to be registered nurses (Nursing Practice Loan), licensed practical nurses (Nursing Practice Loan) or nurse educators (Nurse Educator Loan). Each recipient can receive up to $20,000 over multiple semesters. Funding comes from the Arkansas State Board of Nursing (ASBN). Eligibility: You must be an Arkansas resident accepted/enrolled in an Arkansas-approved nursing program or a nationally accredited out-of-state nursing program that meets ASBN and Department of Higher Education requirements. Nurse educators should be teaching or hired to teach in an Arkansas nursing education program. See the program website for FAQs and full details. How to Apply: You’ll need to file your FAFSA and complete the application form on the program website. Summary: STEP is intended to help teachers repay outstanding federal student loans. In exchange for teaching in certain areas, licensed teachers may be able to receive up to $3,000 per year, with additional loan repayments of $1,000 per year available for licensed minority teachers. The total term cannot exceed 3 years. Eligibility: You must be an Arkansas resident licensed to teach in a public school located in geographical area of the state designated as having a critical shortage of teachers or in a subject matter area designated as having a critical shortage of teachers. Summary: If you’re a veteran or current armed service member, you’ve got options. Regardless of where you live, you may only have to pay the in-state/resident tuition rate at a state-supported institution of higher education, trade school or vocational school in Arkansas. Eligibility: You must be either a) A veteran discharged or released from a period of not less than 90 days of active duty in the military, naval, or air service within 3 years of the date of enrollment in a program of study. b) A dependent of this veteran. c) A member of the U.S. armed forces. d) A spouse of a member of the U.S. armed forces. How to Apply: Talk to your school’s Financial Aid Office or contact the Arkansas Department of Veterans Affairs for help and information. Summary: This program can help students pay for a bachelor’s degree or certificate of completion at any public college, university or technical school in Arkansas. Funds cover the unpaid portion of the cost of tuition, mandatory fees and a room & meal plan after three (3) months of Dependents Education Assistance (DEA) or Chapter 35 benefits have been deducted from the total costs. Eligibility: You must be the spouse or dependent child of an Arkansas resident who has been declared to be MIA, killed in action, a POW, or killed on ordnance delivery or a veteran who has been declared to be 100% totally and permanently disabled during, or as a result of, active military service. You must also be an Arkansas resident and U.S. citizen or permanent alien. If you wish to keep receiving funding, you’ll have to maintain a minimum GPA of 2.0 and complete 24 semester hours per academic year. Summary: SURF provides funding to undergraduates who want to conduct in-depth research projects in their specific fields of study with the assistance of faculty mentors. Any academic discipline is considered and funds are supplied for travel to conferences (where students can present their accomplishments). Eligibility: You must be a U.S. citizen or permanent resident with a minimum GPA of 3.25, 30 or more hours of credit toward your degree at the time of funding and have the endorsement of a faculty mentor. How to Apply: Be prepared for paperwork! Along with the application form, you’ll need to provide an assortment of supporting documents, including a budget. Application forms are listed under the program title on the ADHE website. Summary: TOP provides tuition reimbursement grants for Arkansas teachers and administrators. The grant can cover tuition, mandatory fees, books and required supplies paid by the applicant for up to six (6) college credit hours completed each academic year. The maximum award amount is $3,000. Eligibility: In addition to being an Arkansas resident, you must 1. Be employed as a licensed teacher or administrator in the state. 2. Declare your intention to continue in this job. 3. Be enrolled in relevant college courses in an approved institution of higher education in Arkansas. 4. Have at least a 2.5 cumulative GPA in the courses funded by the TOP grant. Licensed teachers taking courses that apply towards an additional license in a subject matter declared to be a shortage area receive first priority. Paying for college is always going to be a challenge, regardless of circumstances. We outline various ways to stretch your dollars in our sections below, but we know you may still end up struggling to pay for basic bills. When that happens, you have options. First off, your household may be eligible for government benefits. Programs at Arkansas’s Department of Human Services (DHS) include SNAP (food stamps), energy assistance, transitional employment assistance and more. The DHS also hosts the Division of Child Care and Early Childhood Education, which runs the child care assistance (i.e. subsidy) program for low-income parents. You’ll find a complete list of Arkansas benefits at Benefits.gov. If this doesn’t work, you can call 2-1-1 or visit the website of Arkansas 211. Run by United Way, 211 is a free referral service. Trying to find cheap child care? Unable to take the bus to college? Need help getting food or affordable housing? 211 counselors can connect you to the right social services and community organizations. Your local Community Action Agency (CAA) will be able to offer similar advice. The cost of living in a dorm can vary widely depending on your school, your location and your willingness to share with roommates! For example, the UA has a large number of campus communities with double rooms being cheaper than singles. These rooms usually come with utilities, furniture, insulated walls and no commute costs, but they may also include pricey meal plans and unwanted amenities. To get a sense of whether you can afford dorm life, check the housing rates on your university’s website. You can plug these figures into online college budget calculators (e.g. MappingYourFuture.org and CalcXML.com). These allow you to compare on-campus costs (meal plans, dorm fees, etc.) with off-campus bills (rent, gas, utilities, etc.) all in one go. We should also point out that some Arkansas schools, including UA and UCA, have housing requirements. For example, unless they’re older than 21 or living at home, HSU requires most freshmen and sophomores to live on campus. In private schools and rural colleges with not much around them, campus housing may be the norm. In these situations, low-income students sometimes save money by becoming Resident Assistants (RAs). If your financial aid package doesn’t cover room & board, don’t give up. The Financial Aid Office and the residential/housing coordinator at your prospective school will often have details on work-study programs and housing scholarships that you may not know about. Funds may be available from the state (e.g. Governor’s Distinguished Scholarship), the university (e.g. ASU’s ASTATE Scholar) or private sources (e.g. community foundations). If you’re attending a community college or commuter school, off-campus housing may be your one and only choice. Some students split the costs of utility bills, security deposits and commuting costs with multiple roommates. Others try to save money by living at home. To get the most out of your dollar, you might also consider going to a nearby community college for two years and transferring to a university (and another city) after your second year. Once you’ve made the decision to rent, check out the off campus housing section on your university’s website (if it exists). For example, UA has partnered with Off Campus Partners to provide an Off-Campus Housing Service with listings, message boards and a roommate search. If your school doesn’t have these kinds of resources, see if universities in the same city do. You’re all looking for student housing! Other places to search for cheap apartments include Craigslist, bulletin boards and websites that are focused on campus locations (e.g. CampusRent.com, MyApartmentMap.com, OffCampus.com, etc.). The farther you get from campus, the more affordable the prices. Some landlords may even be willing to rent by the room. Through no fault of your own, you may end up homeless or evicted. When this happens, HUD.gov has a list of places to get rental help and homeless information for Arkansas residents. The Arkansas Homeless Shelters directory on HomelessShelterDirectory.org has similar listings. Before you sign any lease or rental agreement, find out which utilities (e.g. electricity, cable, etc.) you’ll be responsible for paying. Utility costs are fairly reasonable in Arkansas, but even small expenses can add up quickly. If you want to budget, ask your prospective landlord or the utility company for a monthly estimate of bills. Former renters will also have excellent advice. Live in a low-income household? You may be eligible for utility assistance! One of the best-known programs is Low-Income Home Energy Assistance Program (LIHEAP), which is run by the government. However, many individual utility companies have their own initiatives. For example, Entergy Arkansas offers Help for Paying Your Bills; CenterPoint Energy has assistance programs, payment extensions and more. Your Community Action Agency and/or local Salvation Army post will also have a lot of information on these programs. Affordable (and sometimes free) medical care can be found at your campus health center. Most centers offer a range of services, including immunizations, women’s health, family planning, treatment of minor injuries, mental health counseling, etc. Bigger and better funded schools may even have fancy services such as dentistry and physical therapy. The health center will also be able to tell you if the school offers discount student health insurance. Does your problem go beyond a basic injury? Ask the campus health center for suggestions on low-cost providers in your area. If that’s a bust, Community Health Centers (CHC) of Arkansas has a list of affordable CHCs in each Arkansas county, which you can compare with directories on FreeClinicDirectory.org and NeedyMeds.org. Many of these clinics also provide mental health services and can refer you to long-term solutions. If a sudden crisis hits, contact someone at the Arkansas Crisis Center (ACC). You can call 1-888-CRISIS2 (274-7472) to talk with an ACC crisis intervention specialist about suicide, financial difficulties, abuse, depression—whatever is worrying you. The 24/7 Mental Health Crisis/Suicide hotline is 1-800-273-8255. Does your insurance exclude dental care? The Arkansas State Dental Association (ASDA) has a list of free, charitable, or reduced fee dental clinics throughout the state; the ASDA also runs annual two-day free dental clinics called Arkansas Mission of Mercy (ARMOM). When you’re looking at your options, don’t forget to consider schools of dentistry and dental hygiene. Universities who are training student dentists often offer big discounts and slashed rates to patients. Campus daycare facilities are available at a number of Arkansas colleges, including some UA campuses and community colleges, ASU and ANC. As you might expect, competition for spots at these centers is often fierce, so we recommend you apply as early as possible. While you’re there, ask if the university provides any discounts or scholarships to student parents. If the university can’t help, your community can. Government subsidies for child care are available through the DCCECE’s Child Care Assistance Program, but the waiting list is often long. When that happens, you could try the Arkansas Single Parent Scholarship Fund (ASPSF), your regional Child Care Resource & Referral (CCR&R) agency or the website of Arkansas Better Beginnings (ABB). ABB is run by the state, and it has loads of information on affordable child care providers and places to find help paying for child care (e.g. Head Start). You can call them anytime at 1-800-445-3316 for advice. Low-income students often face extra challenges when it comes to transport. After all, you may be taking care of family and kids, working multiple jobs or living in a cheap apartment far away from school. To add to that, public transport is not great in the state. Living in a dorm and walking around campus may not be an option. Having said that, we still recommend you spend a few minutes on the transportation/transit section of your university’s website. That’s because colleges are often very good about recommending cost-saving measures, including campus shuttles, scooter permits, carpools, rideshares, Zipcars, free bike rentals, transit discounts, parking options and more. For example, in addition to its free Razorback Transit bus, UA has a Razorbikes program, which gives UA students the use of free bikes all over the campus. In response to the student hunger crisis, UCA, ASU, UAPB, NAC and PTC have opened campus food pantries, which stock many of the necessities. You should also feel free to talk to the Financial Aid Office about your current challenge. There may be ways to reduce your meal plan costs, receive leftover food from dining services or get a job in the kitchens. Feeding a family or out on your own? Arkansas Foodbank has a Foodbank Finder with an interactive map of food pantries and the option to search by county. Depending on your circumstances, you may or may not be eligible for SNAP (food stamps), but don’t forget that the state also runs programs for school breakfasts and lunches, summer food for kids and the WIC program for new moms and moms-to-be. Home to UALR and PTC, Little Rock is a small city with a middling cost of living. Housing is cheaper than Fayetteville, though utility bills and transportation costs are generally higher. UALR’s campus is in the middle of the city, right down the street from the Park Plaza Mall. City living comes with lots of cheap entertainment and eats, but also extremely high crime rates (think car and renter’s insurance). If you have access to a car, you’ll be able to take advantage of biking, hiking, climbing and boating opportunities at Pinnacle Mountain State Park. Little Rock is swimming in programs that are intended to turn residents into college graduates with successful careers. We’ve highlighted a few below, but the list doesn’t end here. Ask your high school counselor or career mentor for more suggestions. The Arkansas Community Foundation (ACF) manages 100+ college scholarship funds created by individuals, families and companies. These come in a variety of flavors and are open to Arkansas residents. You can apply through the ACF online application portal. The City of Little Rock’s Summer Youth Employment Program gives high school and college youth the opportunity to learn about careers while earning a wage during the summer. Pulaski County Youth Services (PCYS) runs a large number of programs for high school students, including ACT Prep, the Pulaski County Youth Leadership Institute, the Youthonomics Summer Financial Literacy Camp and more. PCYS has also developed a great Pulaski County Youth Resource (PCYR) Directory, with links to educational resources, services & programs and helpful organizations. 100 Black Men of Greater Little Rock has several programs for city youth, including 100 Academy—an 8-week mentoring program for black males between the ages of 13-17. Check out their scholarship program. If you need help with a specific problem (e.g. food shortage, child care issues, affordable housing), call 2-1-1. The City of Little Rock also has general info for residents (e.g. city housing programs). Fort Smith is the cheapest city on our list of three, with very affordable housing prices. It hasn’t had the best reputation—in 2013, a Gallup poll decided it was one of the 11 Most Miserable Cities in America—and residents sometimes complain about the lack of entertainment and shopping options. On the other hand, UAFS tuition is reasonable and its campus life usually gets great reviews. You’ve also got the (free) river, cheap eats, the State Fair and the Riverfront Blues Festival. The Western Arkansas Employment Development Agency (WAEDA) provides training and education opportunities to unemployed workers and disadvantaged youth & adults (e.g. low-income school dropouts). Eligible participants can receive help with college expenses, including the cost of tuition and books. Fort Smith Adult Education provides a wide range of classes to any adult over the age of 18 who is a resident of the area. Courses include GED preparation, the Career Readiness Certificate, ESL and more. Western Arkansas Career Development Center System (WACDCS) has a year-round Youth Employment Service (YES) Program that provides eligible youth (ages 16-24) with assistance in achieving academic and employment success. or search the directory of Arkansas 211 or United Way Fort Smith’s Community Resource Guide. The City of Fort Smith also has general info for residents (e.g. utility billing). Thanks to the presence of UA, Fayetteville has the reputation of a college town. Housing costs (including off-campus rents) are often more expensive than Little Rock or Fort Smith, but you can find an affordable apartment if you’re willing to share. The town also has outstanding arts, football and cheap eats in the Dickson Street area. If you don’t have a car, there is the Razorback Transit, which is free for students, and the Scull Creek Trail, a four mile paved bike and pedestrian trail around town. Fayetteville is awash with organizations dedicated to helping residents achieve their college dreams. We’ve listed a sample, but there are lots more out there. Ask your high school counselor or career mentor for suggestions. The Single Parent Scholarship Fund of Northwest Arkansas (SPSFNA) has a great list of low-income resources for parents and college students, including details on college scholarships and places to find free food, cheap clothing, help with rent & utilities—the list goes on! Northwest Arkansas Workforce Centers are one-stop employment centers that can offer advice on career options, training programs, the GED, overcoming barriers to employment (e.g. child care) and ways to get where you want to go. Targeting Our People’s Priorities with Services (TOPPS) provides at-risk youth with mentoring, college enrichment, after-school programs, summer learning and job training programs. Its DREAMS program pairs 10th-12th grade students with mentors who can guide teens through the entire college admission process (including financial aid). The Boys and Girls Club of Fayetteville has created lots of after-school youth development programs that are tailored to teens. Programs cover areas like leadership development, tutoring, career prep and college guidance. or search the directory of Arkansas 211. The City of Fayetteville AR also has general info for residents (e.g. bike trails).